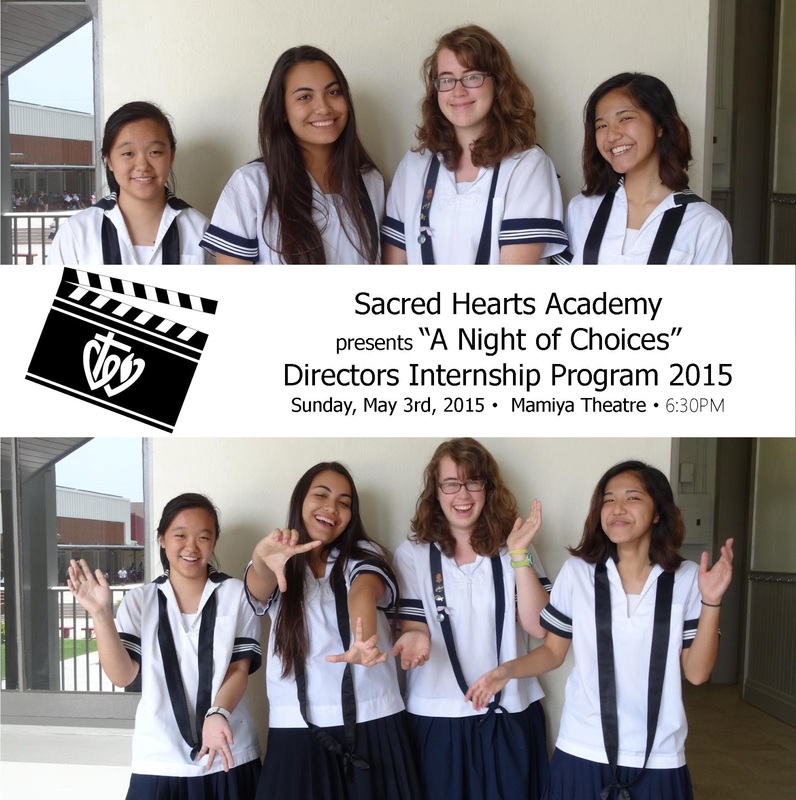 Sacred Hearts Academy is pleased to present a special FREE performance of "A Night of Choices” at 6:30 p.m. on Sunday, May 3 at Mamiya Theater as a part of the Academy's Directors Internship Program. Students are mentored by Mr. Kyle Kakuno, Theatre Manager at Saint Louis Center for the Arts. These one act plays, directed by student directors, bring two stories together. "Why?" is a story of a how tobacco and alcohol are serious problems with tragic consequences as told through the eyes of a young child. "True Friends" tells a tale of two girls who grow close, then apart as one succumbs to peer pressure. Both stories are great for students in grades 3-8, but are suitable for younger and older audiences. These plays feature actors Maya Waldrep, '16, Alana Glaser, '18, Alexiz Hicks, '18, Celine Isabelle Arnobit, '18, Jade Spallina, '18 and Shannon Domingsil, '16. The student directors are Maya Mathur, '16, Kaysey Siobal, '17, Taylor Mackenzie, '18 and Jenelle Ho, '18. For ticket information, please email tnormand@sacredhearts.org.